HollywoodNews.com:The 16th Annual Hollywood Film Festival and Hollywood Film Awards, presented by The Los Angeles Times, have announced that DreamWorks Animation’s “Rise of the Guardians” will receive this year’s “Hollywood Animation Award” at the festival’s gala ceremony on October 22, 2012, at the Beverly Hilton Hotel. Directed by Peter Ramsey and written by Pulitzer Prize winner David Lindsay-Abaire (“Rabbit Hole”), “Rise of the Guardians” is based on the highly acclaimed series of children’s books by William Joyce. Joyce, who won an Oscar® last year for his animated short “The Fantastic Flying Books of Mr. Morris Lessmore,” was named by Newsweek as “one of the top 100 people to watch in the new millennium. 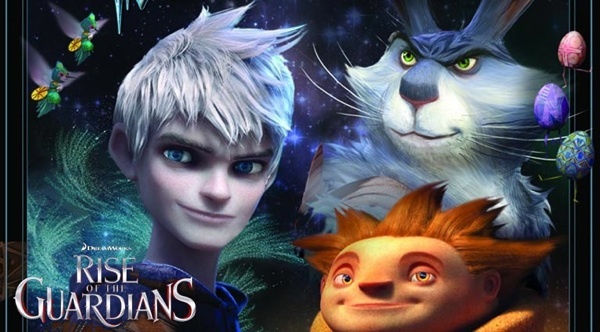 “Rise of the Guardians” stars the voice talents of Chris Pine, Alec Baldwin, Hugh Jackman, Isla Fisher and Jude Law. Produced by Christina Steinberg and Nancy Bernstein and executive produced by Guillermo del Toro, Michael Siegel, and William Joyce, the DreamWorks Animation feature film will be released by Paramount Pictures on November 21st. “Rise of the Guardians” is an epic and magical adventure that tells the story of Santa Claus, the Easter Bunny, the Tooth Fairy, the Sandman, and Jack Frost’s legendary characters with previously unknown extraordinary abilities. When an evil spirit known as Pitch lays down the gauntlet to take over the world, the immortal Guardians must join forces to protect the hopes, beliefs, and imagination of children everywhere. The Hollywood Film Awards were created to honor excellence in the art of filmmaking, both in front of and behind the camera, and launch the awards season. The criteria is: recipients are selected to be honored for their body of work and/or a film(s) that is to be released between January 1 and December 31 by an advisory team. In addition, for the recipients of our “film awards craft categories” (aside from evaluating their body of work), our Advisory team takes into consideration the recommendation of their guilds/societies. Last year alone, our recipients received 12 nominations and 5 Oscars. In the last 9 years, a total of 85 Oscar nominations and 32 Oscars were given to our honorees. The awards are bestowed at a GALA ceremony that takes place at the prestigious Beverly Hilton Hotel in Beverly Hills. 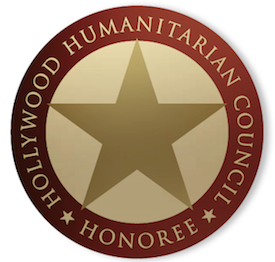 The Hollywood Film Awards are presented in conjunction with Presenting Sponsor the Los Angeles Times, Premier sponsors ArcLight Cinemas and Hollywoodnews.com, exclusive Regional Print Media sponsor Los Angeles Confidential and trade Media sponsor the Hollywood Reporter. Special support is provided by American Cinema Editors – A.C.E., American Society of Cinematographers – A.S.C., The Art Directors Guild – A.D.G., Celebrity Services, The Casting Society of America – CSA, Costume Designers Guild – CDG, Columbia Pictures, Creative Artists Agency, DreamWorks SKG, Entertainment Tonight, Focus Features, Fox Seachlight, ICM, ILM, Motion Picture Editors Guild, Paramount Pictures, Sony Pictures Classics, Sony Pictures Entertainment, Universal Pictures, Warner Bros., Walt Disney/Pixar, The Weinstein Company, WME. The Beverly Hilton Hotel is the Official Host Hotel and Getty Image is the Official Photography Agency.